You tear around in the 53, and the 11 or 12 out back. This is for sure, because nobody can keep your wheel when you wind it up. 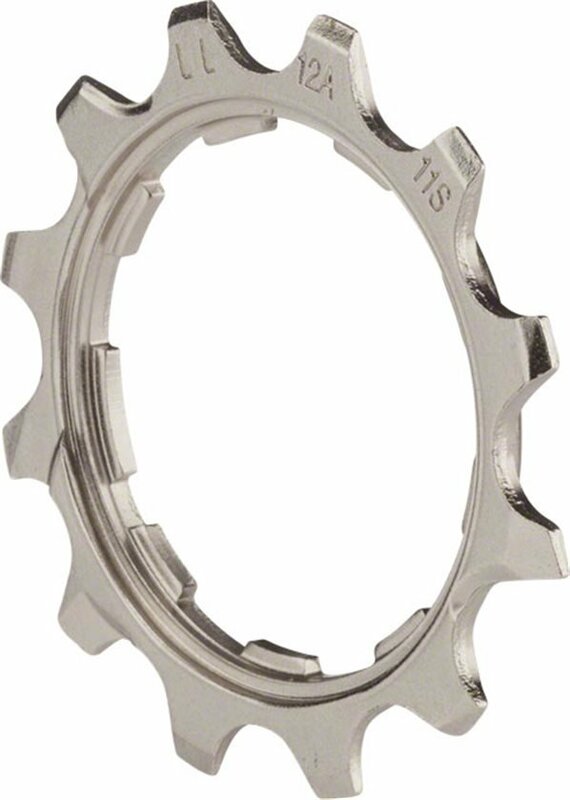 When it's time to replace that 11 or 12 on your 11-speed rig, to get that shifting response and pull back, here's your cogs. Genuine Shimano replacement parts, for Ultegra 6800 11 speed. It is exactly what it is...however, if you are up to some sort of DIY hack shenanigans, note that it is 1.25 mm thicker than a single Shimano 11-sp cog and spacer. cassette. Are they available here? BEST ANSWER: Likely not. You will need to buy the whole cassette. Question is why do you need just the 2nd and 3rd cogs.? Not a normal request. If you messed up these two, then you need to bite the the bullet and get the whole thing. Good news is it is usually the larger cogs that wear out, so you will effectively have a full spare cassette.